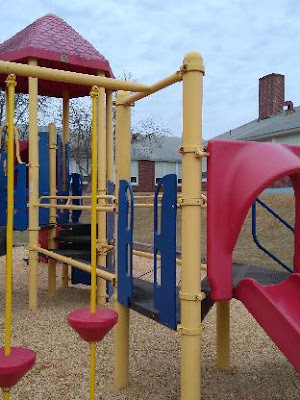 Quiet play area is to the left and behind the school. 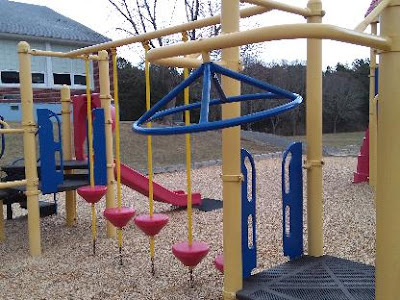 Convenient access on Route 6a in West Barnstable. Large playing fields, tennis courts. 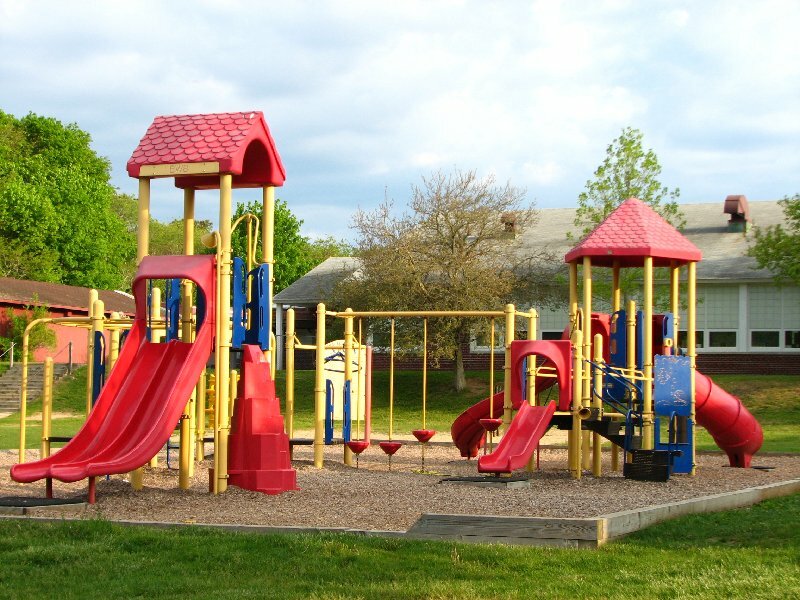 Modern playground, numerous activities. 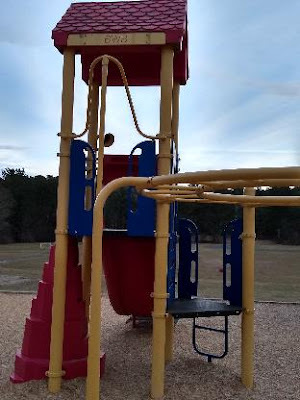 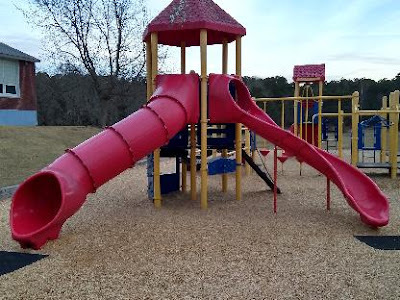 Several slides, towers, swings, climbing areas. Wood chip base. Definitely a playground to see, easy to miss!